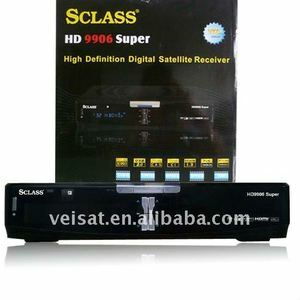 Sclass HD 9906 super high definition digital satellite receiver 1. 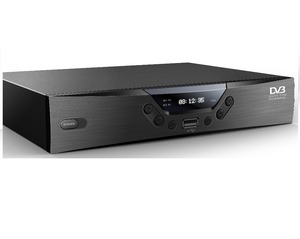 HD DVB-S / S2 set top box: 2.Supports DVB-S, DVB-S2, MPEG-2 & MPEG-4 3.home sharing *Receive Digital High Definition (HD) and Standard Definition (SD) Satellite Signal *Supports DVB-S, DVB-S2, MPEG-2 & MPEG-4 *Digital Video Recorder through USB (external flash or hard drive not included) *Worldwide compatible *Hardware Blind Search DVB-S and DVB-S2 *Multilingual support on screen menu (OSD): English, French, German,Italian, Russian, Spanish, Portuguese, Turkish,Polish, Arabic, Persian,and so on *400 MHz MIPS Processor - ALi OS *Fully compliant MPEG-4 H. 246 Video Formats 4:3 / 16:9 Letterbox for 4:3 TV-Device Audio decoder Audio Compression MPEG-1 & MPEG-2 Layer I and II, MP3 Audio Mode Dual (main/sub), Stereo Frequency: 32 kHz, 44.1 kHz, 48 kHz, 16 kHz, 22.05 kHz, 24 kHz Output digital Output Level 0,5 Vss on 75 Ohm Sampled Data Filtering 32 kHz, 44.1 kHz, 48 kHz S/PDIF-Output optical, Toslink Video parameter Input Level FBAS 1 Vss +/- 0.3 dB on 75 Ohm Teletext filter in conformity with ETS 300 472 Standard TV-Scart Output: FBAS, RGB, S-Video Serielle Interface RS 232 Typ RS232 bidirectional Bit rate 115,2 kBit/s max. 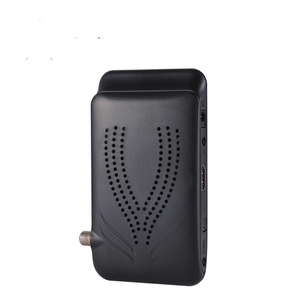 ; short-circuit-protected LNB Voltage vertical &lt; 14V no load, &gt; 11,5V at 400mA LNB Voltage horizontal &lt; 20V no load, &gt; 17.3V at 400mA Count of active satellite position DiSEqC 1.0/1.1/unicable/1.2 SAT POSITION / SAT OPTION DiSEqC - Rotor Control External PSU Input:110-240V AC / 50-60Hz / 0.6A Output: 12V = / 3,0A Physical specification Ambient Temperature +15&sum;C ~ +35&sum;C Humidity &lt; 80% Power AC input range:100-240VAC 50/60Hz PowerConsumption (Standby): Max. By sea to your nearest sea port for 10~15 days . 2. If you have any doubt about payment, please contact with us freely. 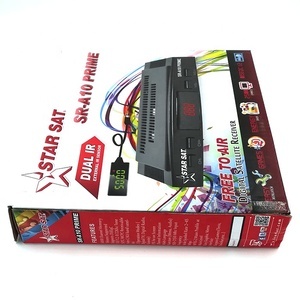 We will try our best to provide the products you need, we will provide you with the most satisfactory service. 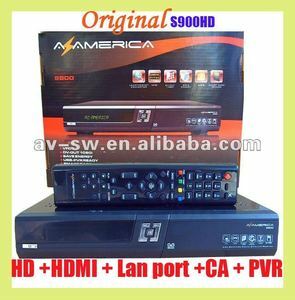 is one of the Chinese consumer electronics hardware service supplier, that the annual sales amount up to more than ten million USD Dollars. 2. 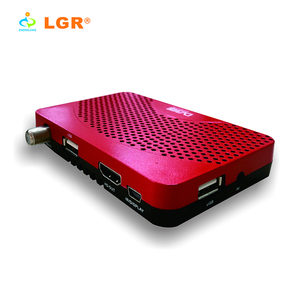 Company Strength: We have a professional operating team, rich marketing experience, user-friendly after-sales service, and we can provide personalized service experience, "Best Service, Fastest Shipment, Highest Quality, Lowest Price" is our promise. The purpose of the company's after-sales service is "customer first, protection the timely, enthusiastic service and work effectively". 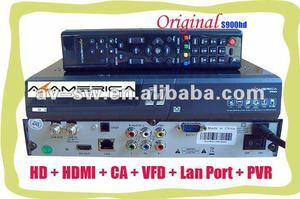 Chengdu Antenna Electronics Technology Co., Ltd.
Alibaba.com offers 86 ali3602 receiver products. About 6% of these are satellite tv receiver. 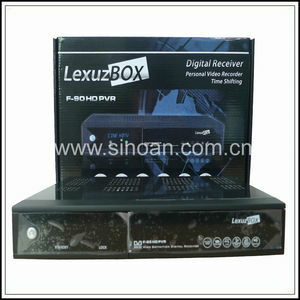 There are 6 ali3602 receiver suppliers, mainly located in Asia. 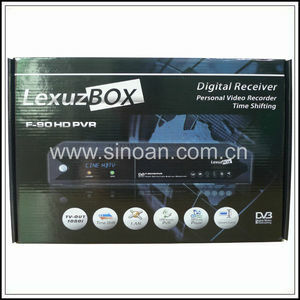 The top supplying country is China (Mainland), which supply 100% of ali3602 receiver respectively. Ali3602 receiver products are most popular in South America, Africa, and Eastern Europe.